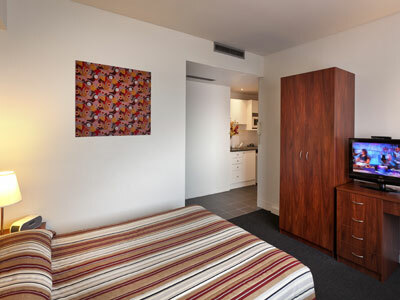 You couldn't ask for a better New Year’s Eve apartment in Sydney than the Macleay Serviced Apartments in stylish and central Potts Point. From here you are just few minutes walk to Sydney’s favourite NYE fireworks vantage point at The Royal Botanical Gardens and Mrs Macquarie’s Chair. There are picture postcard views of the Opera House, Harbour Bridge or Elizabeth Bay from your apartment or the rooftop sundeck and BBQ area. 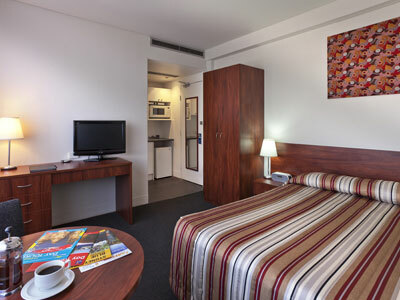 There are also cheaper hotel style rooms with harbour views and apartments with stunning views of the city skyline. 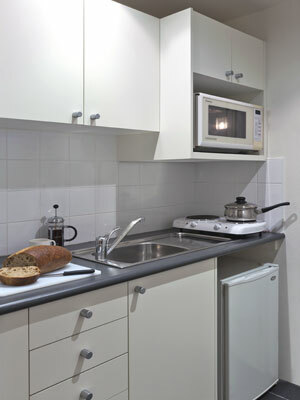 At the doorstep are gourmet food stores to stock your fully equipped kitchen as well as cafes, restaurants and bars. 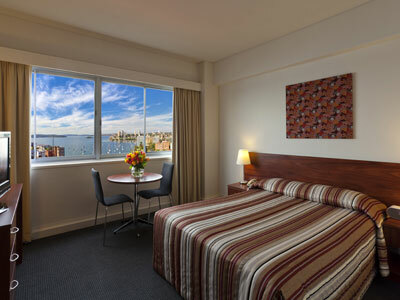 The 3.5 star apartments are also just a short walk from Circular Quay and The Rocks for some serious and historic sightseeing, ferries to the Northern Shores and Beaches and Sydney Harbour cruises; a great way to experience Sydney’s New Year’s Eve festivities. 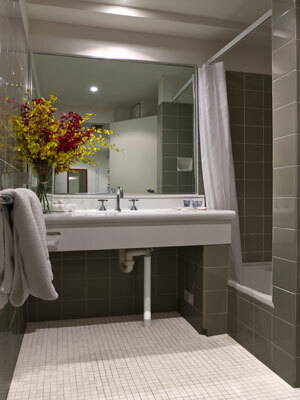 All apartments are light and airy with well equipped kitchens or kitchenettes, ensuite bathrooms, air conditioning, TV, room service and direct dial phones. 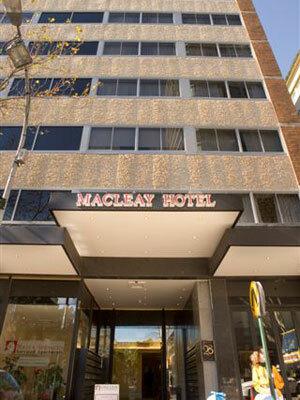 With only 125 guest rooms The Macleay has earned itself a name as a friendly and warm Sydney home-from-home with many returning international and executive travellers. Two Single Beds. District view with air conditioning, kitchenette and opening windows. One Double Bed OR One Queen Bed. District view with air conditioning, kitchenette and opening windows. One Double Bed and One Single Bed OR Two Double Beds. District view with air conditioning, kitchenette and opening windows. Two Single Beds. 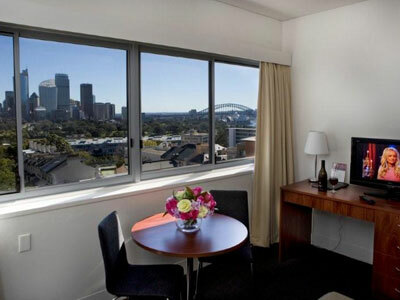 Stunning views of Harbour Bridge or Harbour. One Double Bed OR One Queen Bed. Stunning views of Harbour Bridge and Opera House or Elizabeth Bay to Manly. One Double Bed and One Single Bed. Harbour Bridge View or Harbour View. Two Double Beds and Two single Beds. Full size kitchen with large outdoor balcony and views of city skyline.